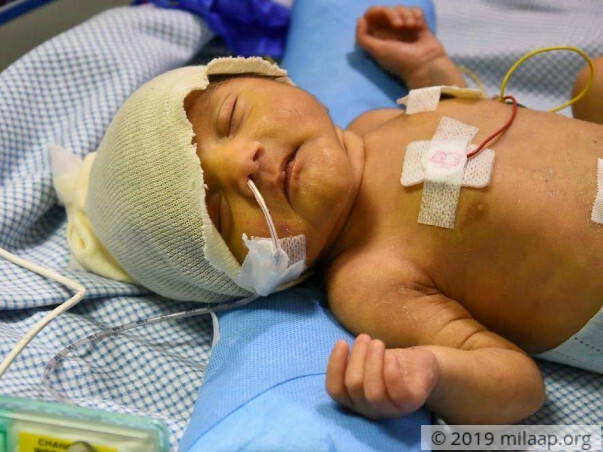 16 days old Baby of Saha needs an open heart surgery to survive. "My wife is still in bed unable to move, she is begging to show her baby to her. How can I show in this situation? I have told her that baby needs a small surgery but I'm shivering to think about the intensity of the condition. 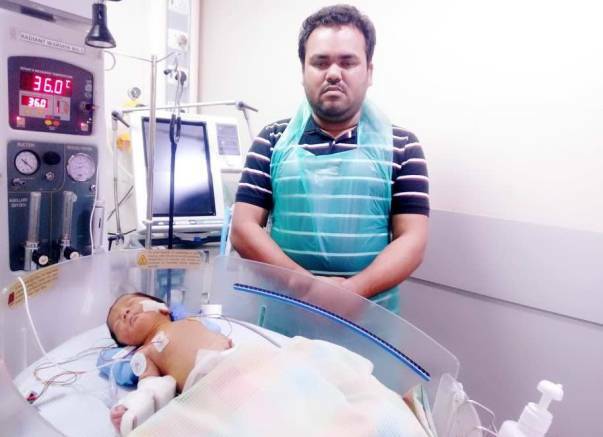 I can't imagine if I had to tell my wife that I lost the baby because of lack of money"
Saha and Mohamed had been through a most painful journey in the past two years. They were hopeful and thrilled about the arrival of a second baby. But it was a big blow to them to learn that their baby had critical heart disease. Saha's baby girl needs an urgent heart surgery to survive. Mohamed did not know that the worst was yet to come. 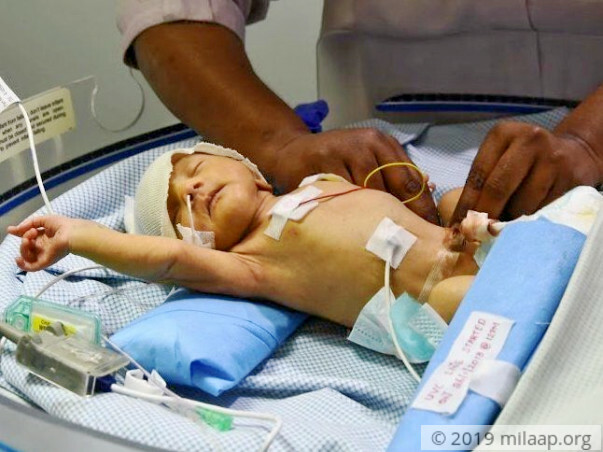 Saha was taken to operation theatre and a girl baby was born to them. 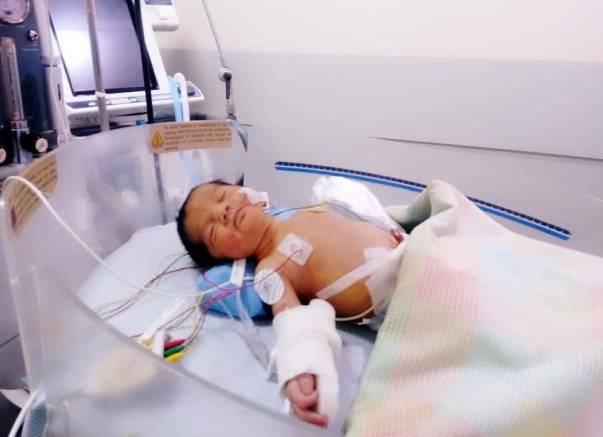 Doctors said that their baby had a critical heart problem and needed an urgent surgery to survive. Mohamed was completely devastated but he had absolutely no time to sink into grief. He rushed with his baby girl in an ambulance to Apollo Hospital, Chennai, from Madurai, leaving his wife alone at the hospital. Saha and Mohamed have a baby boy who is just 1 and a half year old. He was born with a deformity in his right leg. He had an eye operation when he was just 1 year old. Saha and Mohamed have been fighting all the odds to help him have a normal life. When they learnt that their second baby is fighting for life, they are just heartbroken, no words can comfort them. 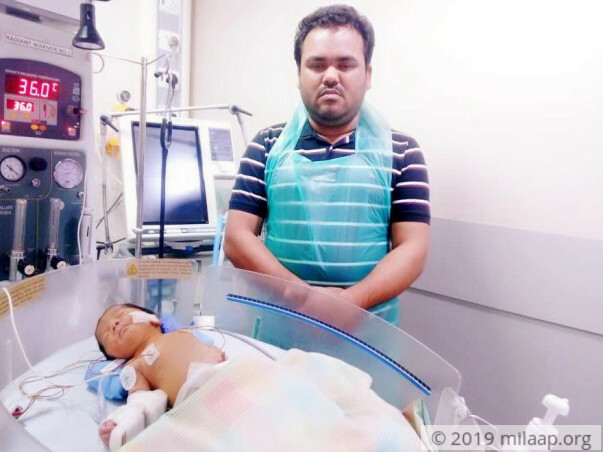 Mohamed had to take his first child every one month for a checkup and he had dengue fever followed by the eye operation. Mohamed had been spending most of the time literally in hospital. He has absolutely no source of income now. He has borrowed money heavily for the treatment expense fo his first child. He had sold all that he had, he sold his mother's jewels to manage the expense in Chennai. 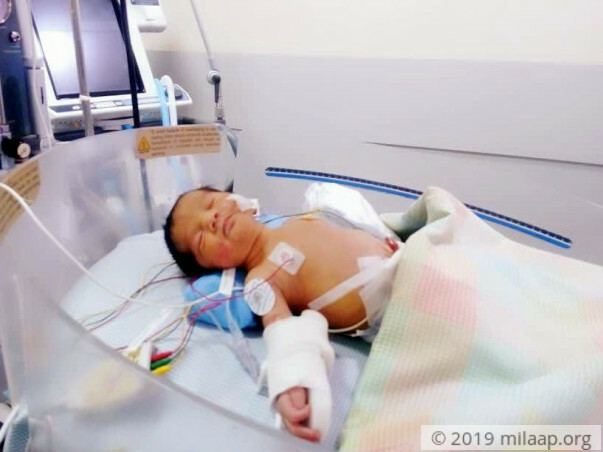 The condition of Saha's baby girl became worse. There is only one possibility of recovery i.e to have a surgery immediately but Mohamed has no single penny left to pay for the surgery. He needs Rs 4 lakhs for the surgery. 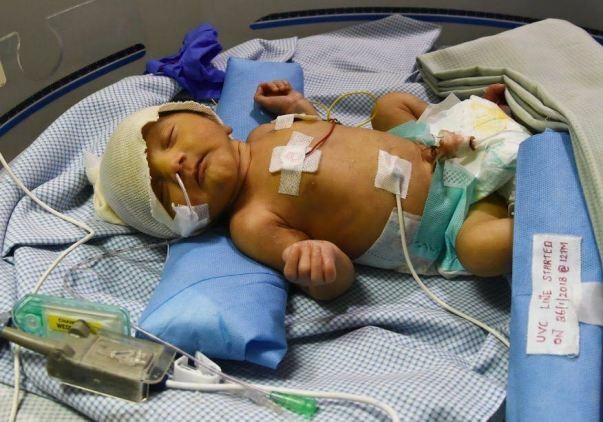 Only your contributions can save their 2-day-old girl baby. Thank you for the wonderful support that you have shown towards my daughter. 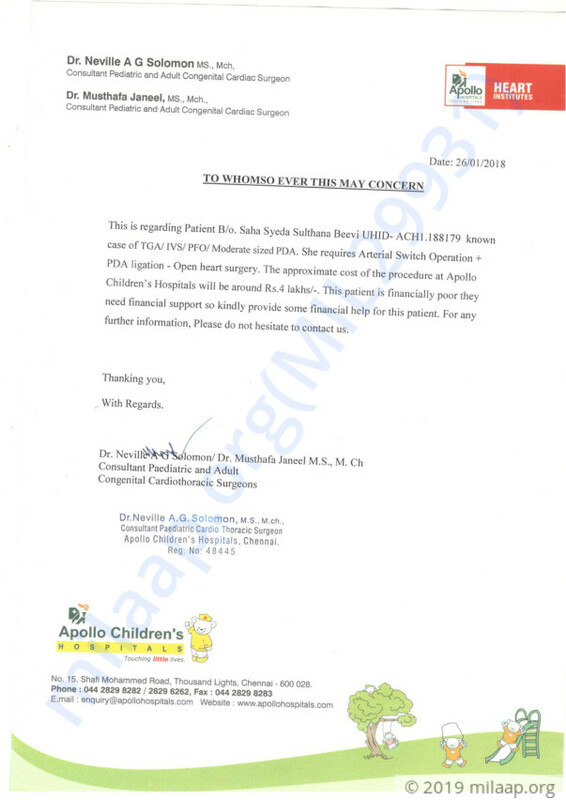 She is doing better now and she successfully underwent the surgery on Wednesday, 31st January. She was in the ICU under observation and based on her health and recovery she got discharged on Saturday, 17th February. I would like to thank you all from the bottom of my heart for the wonderful love and support that you have shown towards my daughter. She has been able to recover so quickly all due to your blessings. Please do pray for her health and speedy recovery.